Oekonux and P2P-Foundation are preparing a common conference in March 2009 in Manchester, UK. 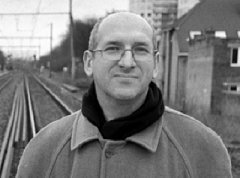 The founder of P2P-Foundation, Michel Bauwens, was born in Belgium and is now living in Thailand. He is a busy traveller and promoter of the concept of a »P2P political economy«. The italian researcher Cosma Orsi made an extensive interview with Michel, where he adopted some parts from Peerconomy and germ form theory. Here are some interesting snippets. »Now, an important point is this: non-reciprocal peer production only works for non-rival goods that can be shared without loss; in the material world of scarcity and rival goods, we do need either exchange-based or reciprocity based mechanisms. Non-reciprocal open design communities need to be coupled with market-based built only capitalism, or other forms of allocation.« — True?